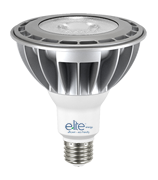 LED Bulbs, short for Light Emitting Diode Light Bulb, are now assembled into familiar shapes and in different light colours offering a range of energy efficient products that can be used in standard medium base and decorative fixtures in your home, replacing incandescent bulbs in table lamps, chandeliers and flood light applications. Like incandescent lamps and unlike most fluorescent lamps (e.g. 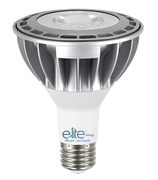 tubes and CFL), LED lights come to full brightness without need for a warm-up time. LEDs do not emit light in all directions, and their directional characteristics affect the design of lamps. Compared to general-service incandescent lamps giving the same amount of visible light, LED Bulbs are 80% more efficient in the consumption of electricity, and last up to 25 times longer. A LED has a higher purchase price than an incandescent lamp or a CFL lamp, but can save over eight times its purchase price in electricity costs over the lamp's lifetime.